On February 13, 2019 the employee of the Department of the organization of excursions of the Bulgarian Museum-reserve kalinkinoj. 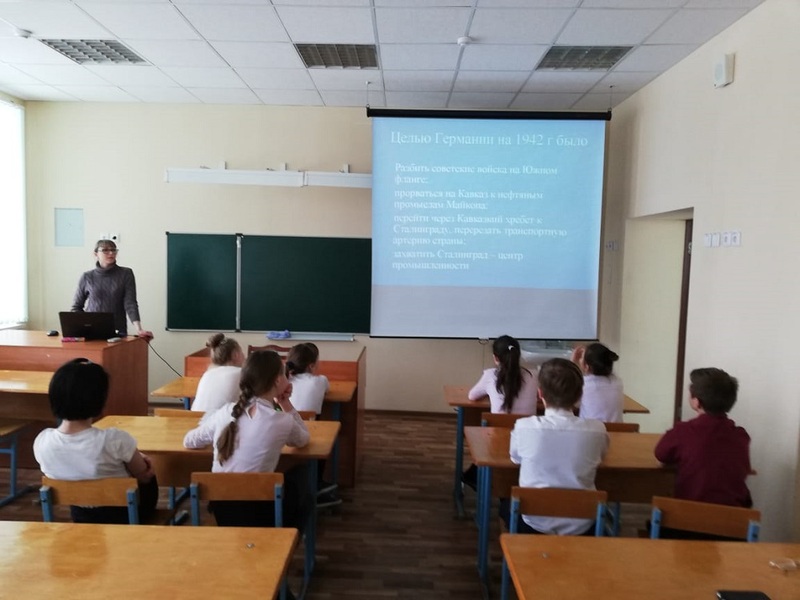 a thematic lecture for the 5th grade students of the Bulgarian sanatorium boarding school WAS held in the framework of the celebration of the 76th anniversary of the end of the battle of Stalingrad. These days, in accordance with the Federal law of March 13, 1995 “on days of military glory and memorable dates of Russia”. there is a historical event-the defeat of the Soviet troops of the Nazi invaders in the battle of Stalingrad. The battle of Stalingrad was one of the largest in the great Patriotic war of 1941-1945. Thanks to the success in it, a huge contribution was made to the future Victory. The battle began on July 17, 1942 and ended on February 2, 1943. The nature of the fighting in the battle of Stalingrad was divided into two periods: the defensive (17 July-18 November 1942), the purpose of which was the defense of the city; offensive (19 November-2 February 1943). This battle lasted 200 days and nights and ended with the largest victory of the Soviet Armed forces. 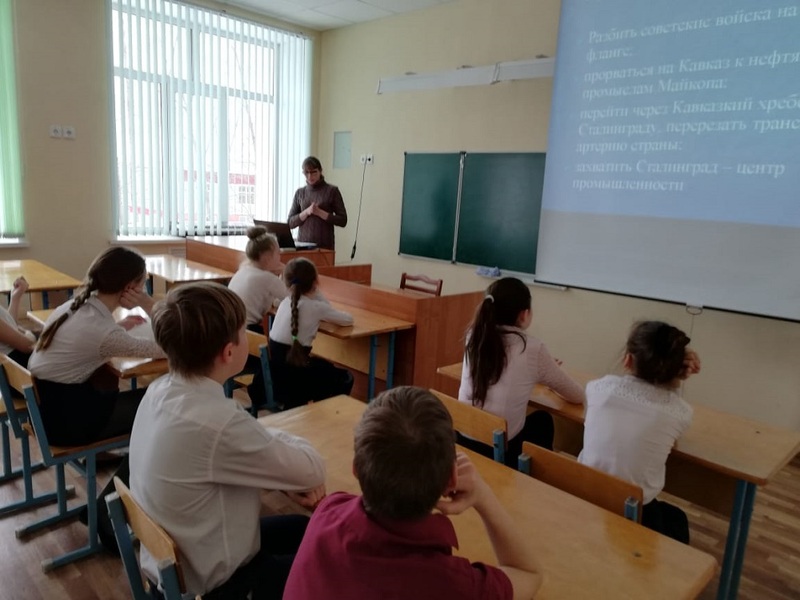 During the lecture, students learned about the resilience, courage and heroism of the Soviet army, as well as the importance of the battle in the history of the great Patriotic war. More vividly, students were able to present and consolidate the material with the help of the presentation. At the end of the lecture, the guys honored the memory of all the victims with a minute of silence.